encounters alerts or error conditions. As you can see no IP address has been configured at present. Note: The system uses the first IP address you specify. As you can see no Alerts have been configured at present. Configure the settings for how the system handles alerts. -emailFromAddr Type the e-mail address the system will use as the FROM address. The addresses will appear in the FROM field of the recipient’s e-mail application. -emailToAddrs Type a comma-separated list of e-mail addresses the system will send alerts. 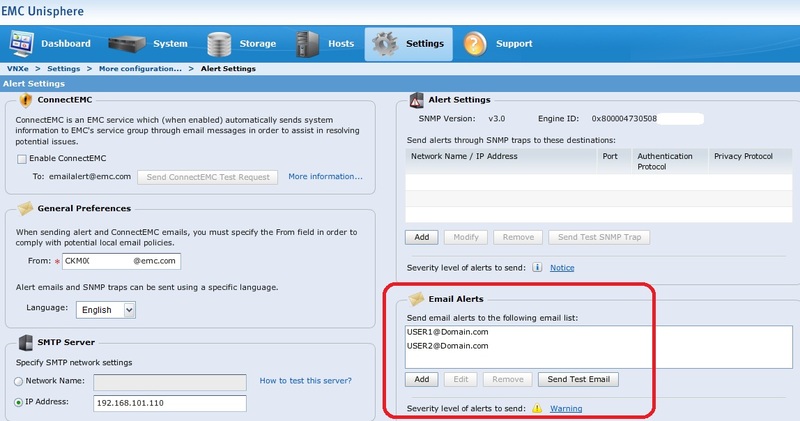 -emailSeverity Specify the minimal severity of alerts the system will send as e-mails. Value is critical, error, warning, or info. its possible to add the description field to the mail ?